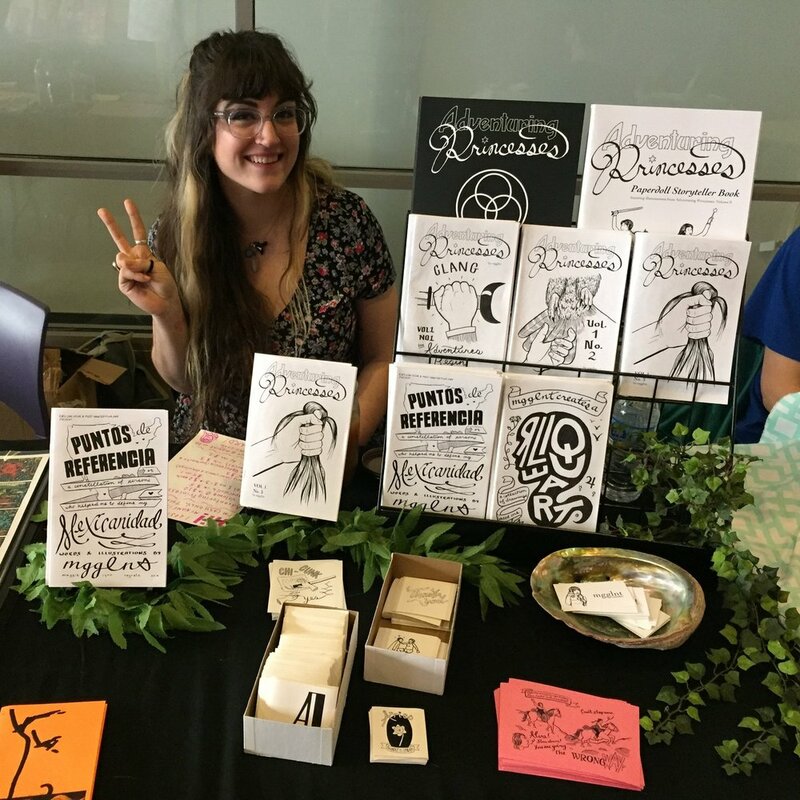 A SWPA native & Vassar College alum, I am a multidisciplinary artist and designer specializing in illustration, zines, and hand-lettering. My work explores femininity, community, and the occult with aesthetics influenced by 19/20th century illustration, psychedelia and my heritage of printers. An important part of my practice is as an educator, focusing on elevating youth voices and promoting civic engagement through zines, storytelling, and typography. Additionally, I am proud to be affiliated with the Pittsburgh Zine Fair, the Notwhite Collective and my former workplaces, the Greater Pittsburgh Arts Council, the Brashear Association and MGR Youth Empowerment. Please contact me at mgglnt@gmail.com for commissions, graphic design, to teach workshops or for event planning.